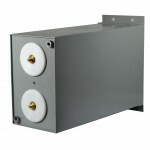 NWL’s WL-Series are high energy capacitors used in pulse power and power conditioning applications. 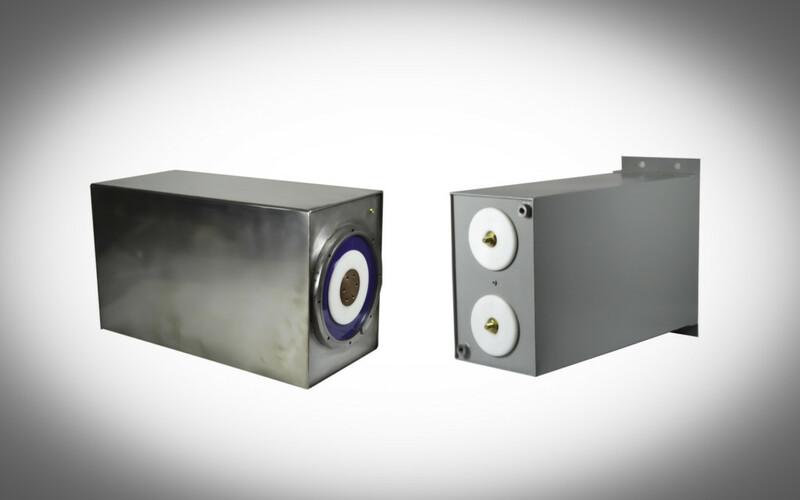 With welded metal cases of stainless steel, mild steel, aluminum, or brass, these robust oil-filled capacitors offer the highest energy stored per unit, typically 3-100 kJ. Large diameter, low profile bushings provide minimum inductance for fast discharge and high frequency response compared to Equivalent NWL WF-series capacitors with upright bushings. For maximum peak power, an available option is a 100 kVDC (under oil) bushing with a coaxial current return ring enabling the capacitor to have less than 40 nH of inductance and deliver up to a 250 kA repetitive peak pulse current. 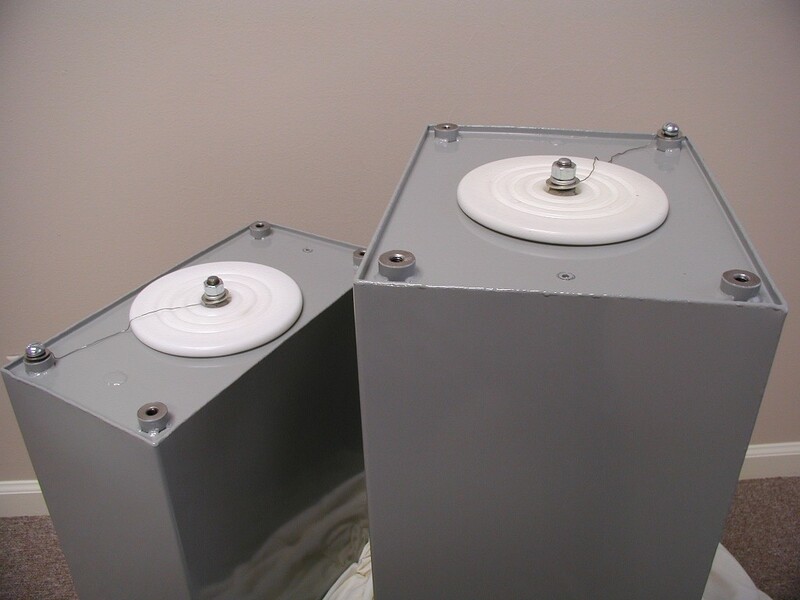 Internal construction is customized for the application and both self-healing and non-self-healing versions are available. 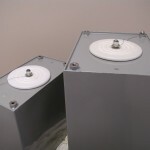 High voltage low profile terminals – With large diameter plastic insulators, this series of capacitors operates at high voltages while keeping resistance and inductance at a minimum. 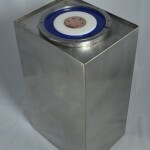 Large welded metal packages – Utilizing well-established and proven vacuum-pressure impregnation processes, these fabricated and welded cases of stainless steel, mild steel, aluminum or brass are able to package capacitors ranging from tens of pounds to more than 500 lbs per unit. 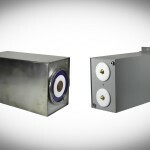 Live case connection – For applications requiring minimal inductance, parallel-plate buswork requires low profile high voltage bushings and proximate or coaxial current return connections to the capacitor case. WL-Series offers threaded insert or screw high voltage terminals and either weldnuts or coaxial rings for case connections. 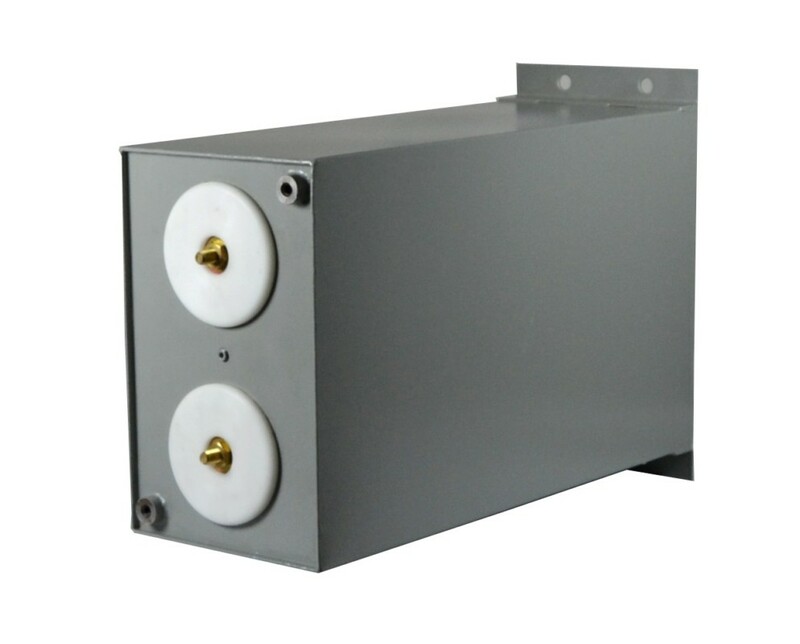 A 100 kVdc, 250 kA bushing/terminal with coaxial current return ring is available. Weldnuts and/or brackets can be provided for mounting/securing. 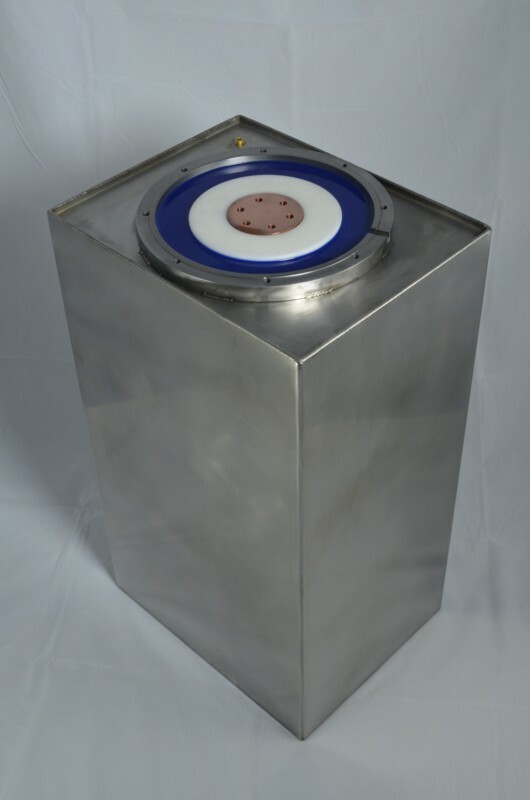 Dead case – For applications requiring an isolated (typically grounded) case and two high voltage terminals at up to +/-50 kV, smaller diameter low profile bushings are available. WL-Series capacitors utilize a welded metal case oil-filled product with the latest technological advancements in polypropylene film dielectric systems. Examples of typical ratings and packages shown above. Consult NWL for specific requirements and additional existing models.